Supercooling is a term describing the state where a product remains in liquid state well below its thermodynamic freezing point which is usually around 0°C and especially prevalent where the particulate level in the environment is well-controlled such as in a classified aseptic areas, Grade A or ISO 5 rooms. The lower the temperature when the product nucleates, the higher the degree of supercooling. 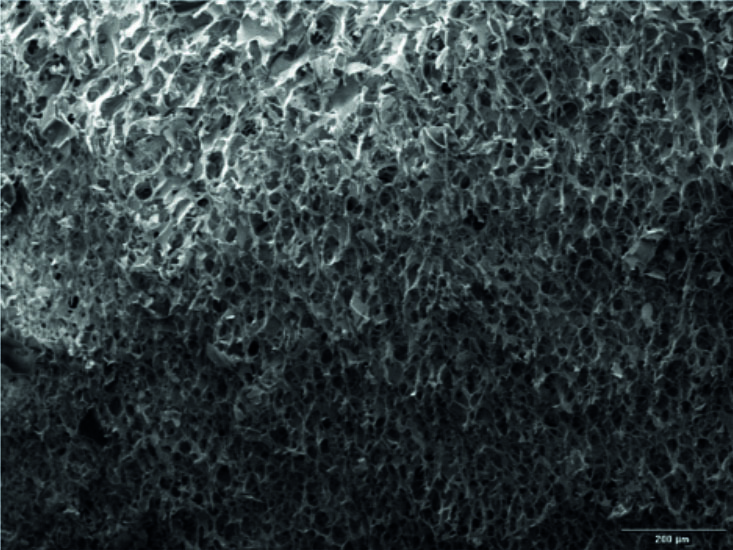 As a result, smaller ice crystals are formed which leads to small pores. This could impact sublimation rate and product temperature profile resulting in performance differences between laboratory generated cycle and commercial manufacturing generated cycle. In addition, uncontrolled nucleation means vials nucleate at different times, creating a heterogeneous batch. 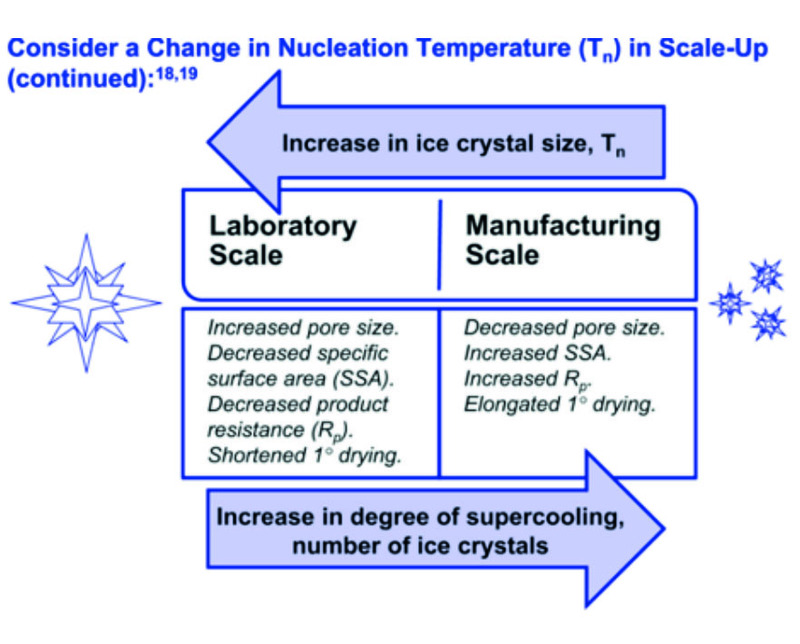 Controlled ice nucleation is the key step in a freeze-drying cycle and control; therefore, characterization of the degree of supercooling provides a solution to what is perhaps the biggest freeze-drying scale-up challenge. Controlled ice nucleation allows for improved product homogeneity, quality and predictable homogenous product from batch to batch and more importantly for reduced variability in drug product resistance. Heterogeneity requires that the freeze-drying cycle be designed for the ‘worst case’ vial, typically the one that has supercooled the most, therefore another benefit of controlling nucleation is that a more aggressive cycle can be achieved with a higher sublimation rate and less risk of product collapse. With the ControLyo® Nucleation Technology a potential approach for developing a commercial cycle in accordance with Quality by Design (QbD) principles can be practically achieved using easily quantified and measurable parameters such as temperature, time, depressurization speed, and pressure set points among other parameters. 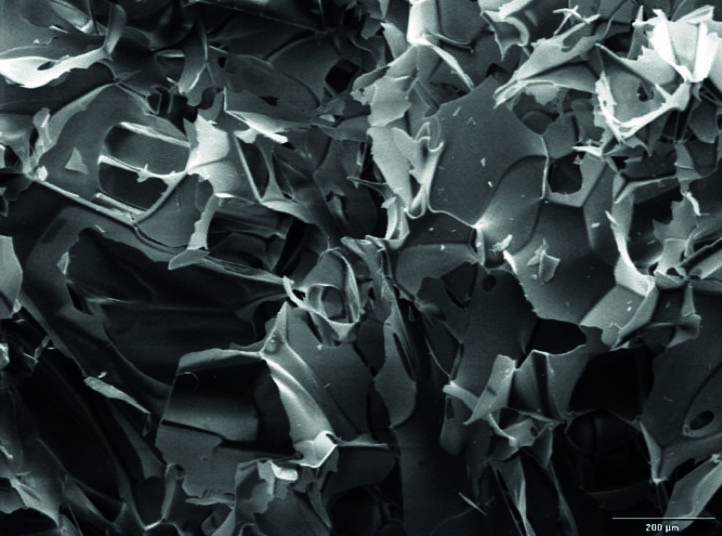 Caption: Scanning Electron Microscopy (SEM) images to show pore structures for controlled nucleation vs. stochastic (uncontrolled) process. Images supplied by kind permission of GILYOS GmbH.